This page is password protected and only available for Chick-fil-A One Red Members as a benefit of their Chick-fil-A One status. If you are a Chick-fil-A One Red Member, the password was included in the email you received from Chick-fil-A mid-September. Please be sure to check your spam folders if it does not appear in your inbox. Have you ever noticed that no matter which Chick‑fil‑A restaurant you visit, from West Coast to East Coast and everywhere in-between, that your favorite menu item always tastes the same? 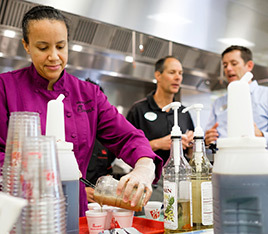 It’s no coincidence; the consistency is quite intentional, with a culinary team working daily in the Chick‑fil‑A Test Kitchen in Atlanta to determine not just what makes it on the Chick‑fil‑A menu, but how Team Members will prepare the food in the company’s more than 2,300 restaurant kitchens nationwide. 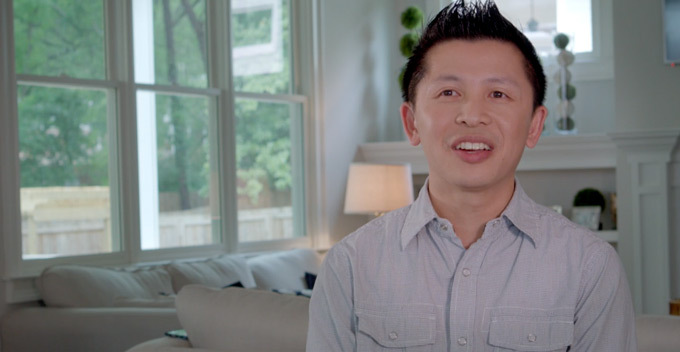 “My job is to think of five other ways to make the recipe, so we find the best method that works for every restaurant and results in the same customer experience,” says Chick‑fil‑A Chef Wing Lau. Lau, who first learned how to cook by watching his parents work in Chinese restaurants, followed a different path before making his way back into the kitchen himself. He studied mechanical engineering, a background that later became crucial to help Chick‑fil‑A invent its own grill for the Egg White Grill breakfast sandwich. But for Lau, cooking is much more than a family tradition or a job. © 2018 CFA Properties, Inc. All trademarks shown are the property of their respective owners.